Home » How to remove » Rogues » Win Tonic virus – Is Win Tonic safe? Win Tonic virus – Is Win Tonic safe? Win Tonic is a unwanted application that comes to the PC without user consent. 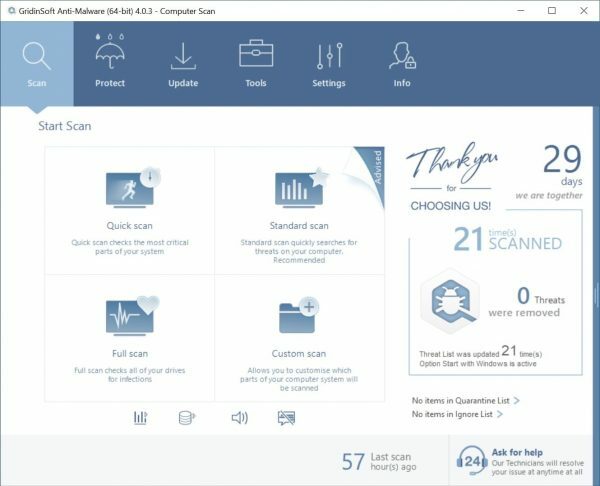 According to the developers, this is a unique program that helps the user protect the PC from malicious programs, monitor the status of the registry, delete temporary files and much more. In fact, Win Tonic is an annoying program, which brings a lot of problems. After a while, it installs its extension into your browser. This adware displays a huge amount of advertising content, coupons, pop-ups, banners, links to third-party sites and so on. This constantly opens up new tabs that contain advertising. Also, Win Tonic increases the traffic and slow down your computer. If you find Win Tonic on your PC, you must uninstall the potentially unwanted program. How to get rid of “Win Tonic” automatically? You can also try to remove Win Tonic virus by hand using the following instructions. Tips to remove Win Tonic manually from your PC. Windows 8/10: Right-click on Start – Quick Access Menu – Control Panel – Uninstall a program. You may check the list of applications and utilities installed on your PC. Find suspicious software that may cause Win Tonic problem, then right-click on it and select “Uninstall“. Windows 7: Click on Start – Control Panel – Uninstall a program. Check the list of programs and software available in your PC that might cause Win Tonic problem, then press “Uninstall“. Windows XP: Click on Start – Control Panel – Add/Remove Programs. You will find the list of available programs in your PC. Right-click on suspicious software that may cause Win Tonic problem and select “Uninstall“. READ Win Tonic phony optimization tool (removal guide). READ WinTonic removal guide. How to uninstall WinTonic?